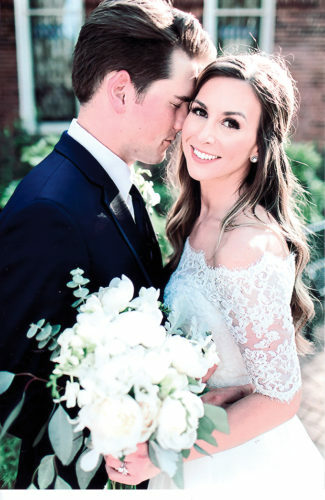 WILMINGTON, N.C. – Elizabeth Marie Coyle, daughter of James and Patricia Coyle of Steubenville, and Timothy Thomasson, son of Sharon Thomasson of Atlanta and the late Joseph Baron Thomasson, were married on April 25, 2015. The ceremony and reception were held at St. Thomas Preservation Hall in Wilmington, N.C., with David Holt as officiant. 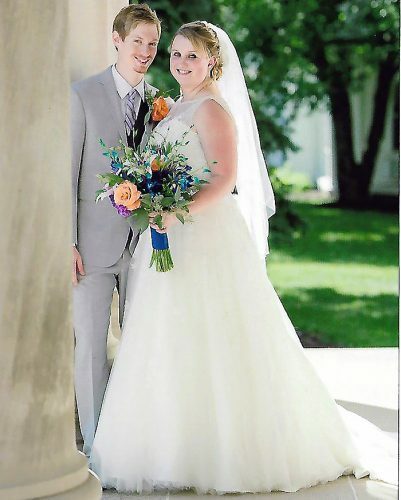 Given in marriage by her father, the bride wore an ivory ballgown with a pleated bodice and tiered horsehair edging accented with a soft satin belt and applique flower. 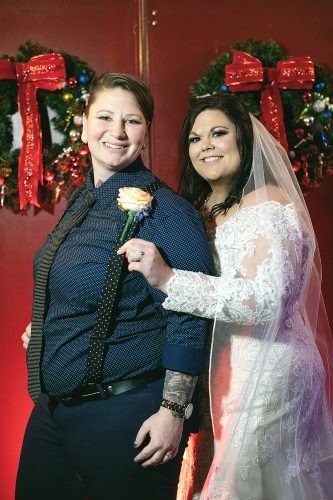 She was attended by her sister Rebecca Coyle as maid of honor with Kristen Pizzoferrato, Jodi Bodo, Jaclin Hastings and Madeline Irizarry as bridesmaids. The best man was Aaron Zimmerman, brother of the groom. Phillip Wygans, Jeffrey Chism and Andrew Belyea served as groomsmen along with David Coyle, brother of the bride, and James Merritt. The ring bearer was Amari Suggs. The couple took a honeymoon trip in the mountains of western North Carolina followed by a three-week cross-country road trip. 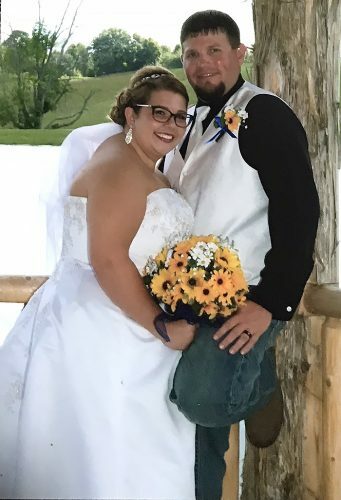 The bride is a 2006 graduate of Catholic Central High School who graduated from Franciscan University of Steubenville and holds a bachelor’s degree in psychology. She was employed by Lake Forest Academy before moving to San Diego with her husband. 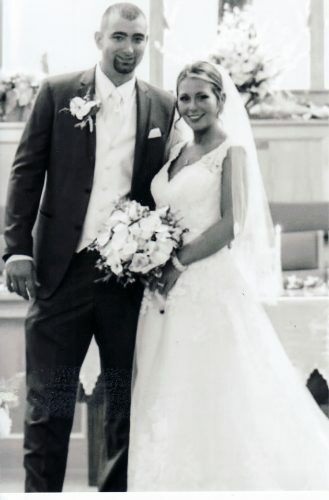 The groom is a 2005 graduate of Steubenville High School and is serving in the U.S. Navy as a First Class Petty Officer and is stationed in San Diego. They reside in San Diego.